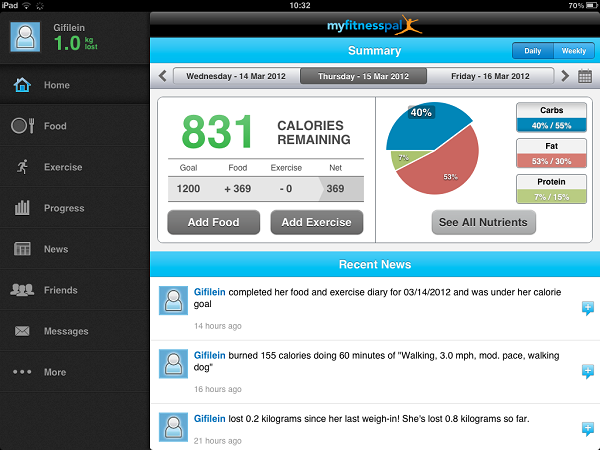 Some of the most intuitive mobile healthcare apps that are improving our well being. It’s hard to believe that just ten years ago there was no such thing as a healthcare app. In the years since Apple popularized the smartphone, a myriad of mobile medical tools have popped up, helping both doctors and patients to solve health problems more effectively and efficiently. Here are ten of the best apps that are changing the way healthcare happens. PingMD is a mobile chat app aimed at both doctors and patients, but has some important differences from other generic chat apps like Whatsapp. First, PingMD’s security is HIPAA-compliant. Doctors can also safely use it to discuss medical issues with patients or colleagues without running the risk of accidentally leaking a patient’s private medical information. And that information can be easily transferred to electronic medical records directly from the app. Additionally, PingMD gives doctors the ability to set up and bill patients for eVisits and eConsults. 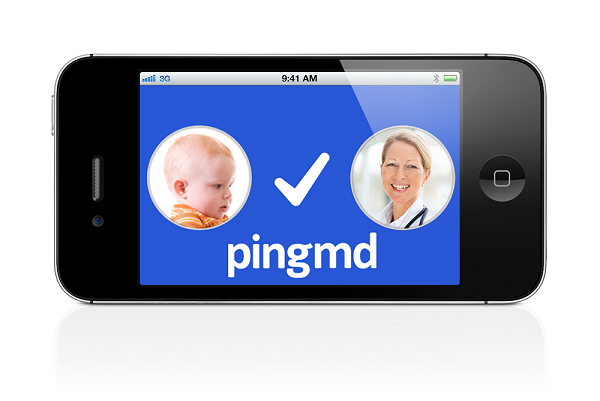 In short, PingMD allows patients to quickly and securely access their doctors to get advice and care faster. 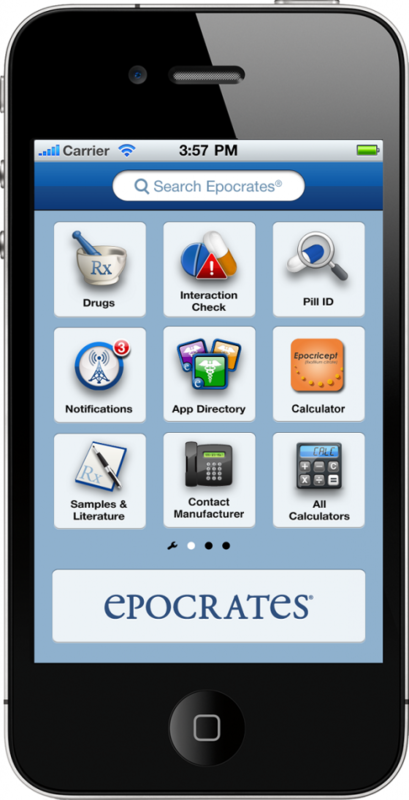 Epocrates is a really deep app for doctors with one huge strength: medications. The app is a repository for tons of medication information, and it includes drug interaction checker and a pill identification tool. 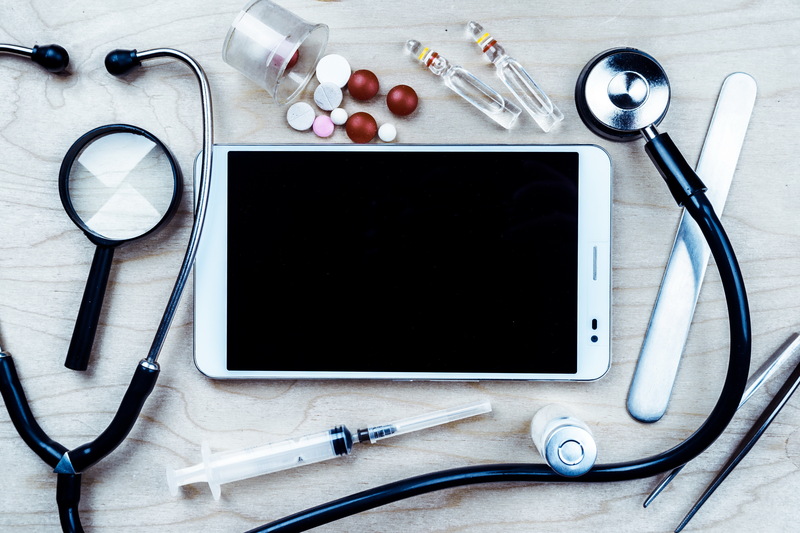 Beyond drug information, Epocrates also offers a secure texting service that allows physicians and other hospital personnel to text each other while maintaining HIPAA compliance. It gives doctors automatic notifications about important medical news stories, and also includes built-in, searchable resources for clinical guidelines, disease information, ICD-10 codes, and more. Platform: iOS, Android, Windows Phone, web. MyFitnessPal is a consumer-facing health app that helps users lose weight by tracking their caloric intake and other nutrition-based metrics. The app claims to have helped users lose over 200 million pounds, and it does that by making it really easy to see and moderate caloric intake. Plugging in what you’ve eaten is easy, and the app automatically generates graphs that make it easy to visualize your caloric breakdown so that you can quickly identify whether you’re getting enough protein or carbohydrates (for example). Omnio is essentially a customizable all-in-one reference app for physicians. 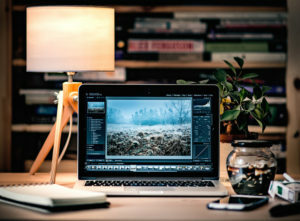 The app itself is free, but it’s powered by a vast market of specific resources, allowing doctors to buy the digital books and tools they need without wasting storage space on unnecessary content. So if you’re a neurosurgeon (for example) you can get all the handbooks, references, and other resources you need for your specialty and store them digitally on your phone, where they’re easily sortable and searchable. 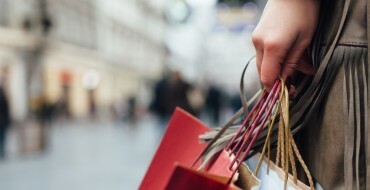 Omnio’s market also includes interactive tools like calculators and converters. While both Omnio and Epocrates are excellent mobile resources, there’s one major area they’re both lacking in: journal articles. 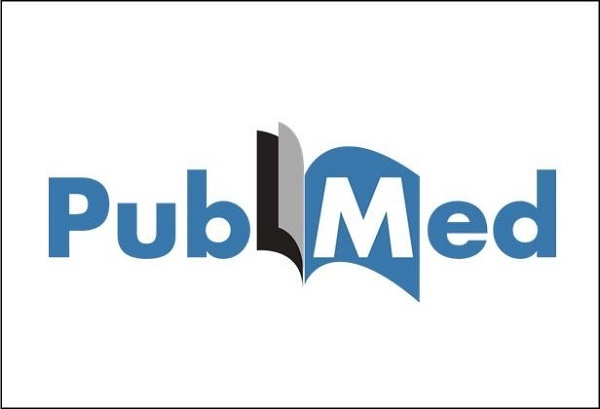 Physicians who need to follow the latest developments in their field don’t just want to access established reference materials, they also want to access the latest research publications in their field, and for that, there’s PubMed Ontap. If you have a PubMed subscription, OnTap makes it easy to view, download, and store the latest research directly from your mobile device. 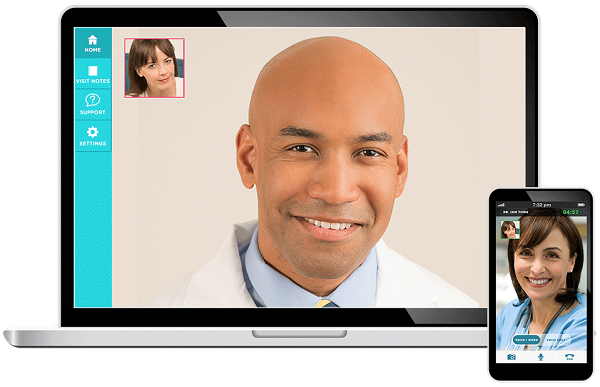 DoctorOnDemand is a consumer-facing app that allows you to virtually visit a doctor via video chatting. 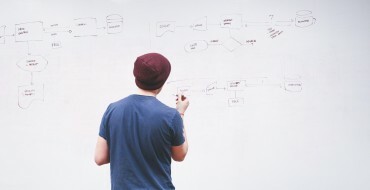 It’s similar to PingMD in that it allows for eVisits and eConsults, but different in that you won’t see your doctor and you don’t need to be connected with any doctors to use the service. Instead, you just book a US$40 appointment, and then you’ll be able to chat with a doctor about your issue within a day or two. Doctors can even write prescriptions for you directly through the app, meaning that you can get yourself taken care of without ever having to get out of bed. In addition to regular physicians, you can also book appointments with psychologists, pediatricians, and childcare specialists like lactation consultants through DoctorOnDemand. This app for emergency medical care providers is about one thing and one thing only: finding the antidote. 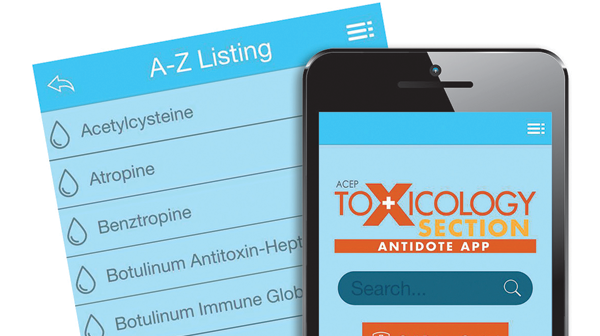 When someone has been poisoned, time is of the essence, and the ACEP Antidote App allows care providers to quickly search for toxins to see details about antidotes and dosing. It also has a big red “Call Poison Control” button, just in case you can’t find the information you’re looking for. It may seem overly simple, but apps like this can save lives in time-sensitive cases where finding an antidote a few minutes earlier could be the difference between life and death. Platform: iOS, Windows Phone, web. Microsoft Healthvault is a consumer-facing mobile and web app that aims to be an easily transportable and shareable digital record of your health and fitness. It’s especially aimed at families, as parents can use the service to digitally store their children’s health records for easy access anytime they need to visit a new pediatrician or provide proof of some immunization so that the child can play on a new sports team. But Healthvault can also be integrated with a wide variety of mobile apps and smart health devices (like glucose monitors) so that you can put daily tracking data into your health records, too. 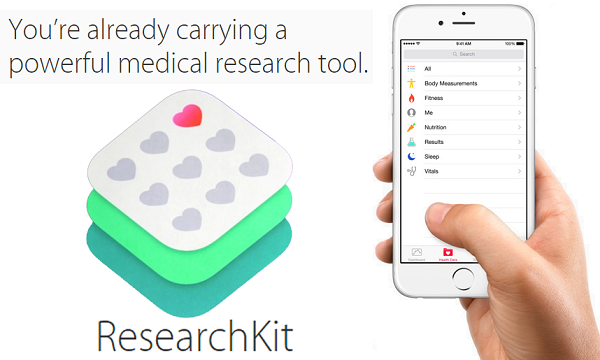 Technically, ResearchKit isn’t an app; rather, it’s a framework for healthcare-focused iOS apps. But it deserves a place on this list because it has given medical researchers access to treasure troves of data that they simply could not have gotten even just a few years ago. Basically, ResearchKit is a toolkit that allows medical researchers to create apps that integrate easily with Apple’s HealthKit user data and then share those apps with the public. Since Apple’s user base for iPhones is massive, researchers’ apps often bring in much more data than they could get via conventional means. A Parkinson’s Disease test app that uses ResearchKit quickly became the largest Parkinson’s experiment in history when over 10,000 users participated, for example. Our final selection is another group of apps rather than a single app, because these apps counted separately they’d have dominated this list. 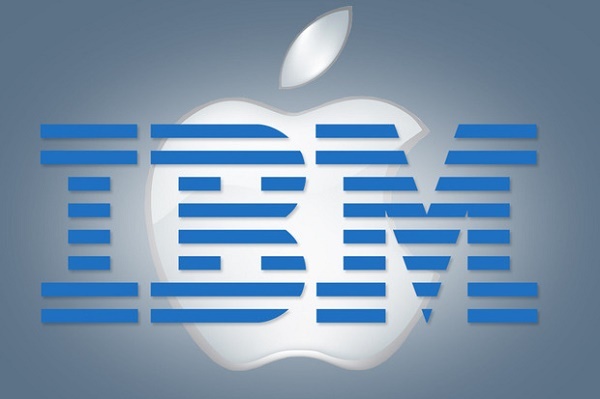 Together, Apple and IBM have released a suite of healthcare enterprise apps with specific apps targeted at specific kinds of healthcare workers. For example, there’s Hospital MD, which allows doctors to see an overview of scheduled patients, communicate and collaborate with other team members, automatically pull the correct medical records as the doctor approaches a patient’s room, and even check a patient’s vital signs remotely. For nurses, there’s Hospital RN, which gives them patient requests via push notification, tracks labs, and provides an updated prioritized task list, among other things. 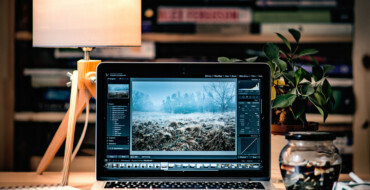 There are similarly focused apps for nurse techs, charge nurses, remote nurses, and health plan workers, plus a HIPAA-compliant messaging app that all healthcare workers can use. Individually, each app is tailored to smooth the workflow of its user, but together these apps are a kind of vision of the future of medical care: a world in which doctors, nurses, and administrators have up-to-the-minute information about their patients available and can communicate with each other at the tap of a button.